Sgt. 1st Class William B. Woods Jr., 31, died Aug. 16, 2009, in Landstuhl, Germany from wounds he received Aug. 14, 2009, while conducting a mounted patrol in the Ghazni Province, Afghanistan, in support of combat operations while serving with 2nd Battalion, 20th Special Forces Group (Airborne). 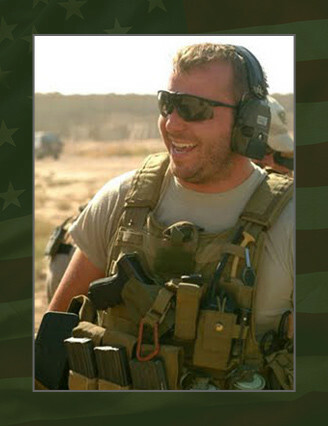 He deployed in support of Operation Enduring Freedom in July 2009 as a member of the Combined Joint Special Operations Task Force – Afghanistan. He was a Special Forces senior medical sergeant. Woods was a native of Hermann, Mo., and enlisted into the military in 1996 as a rifleman. After his initial Marine Corps enlistment, he later enlisted into the U.S. Army. He attended the Special Forces Qualification Course in 2003 and earned the coveted “Green Beret.” He was then assigned to 2nd Bn., 20th SFG (A). Wood’s military education includes the Basic Infantryman’s Course, Survival, Evasion, Resistance and Escape Course, Basic Airborne Course, Linear Infighting Neural-Override Engagement Instructor Course, Ranger Course, and Special Forces Qualification Course. His awards and decorations include the Bronze Star Medal, Purple Heart Medal, Army Commendation Medal, Army Achievement Medal, Navy Achievement Medal, Army and Marine Corps Good Conduct Medals, National Defense Service Medal, Afghanistan Campaign Medal, Iraq Campaign Medal, National Defense Service Medal, Global War on Terrorism Service Medal, Afghanistan Campaign Medal, NCO Professional Development Ribbon, Navy Arctic Service Ribbon, Army Service Ribbon, Overseas Service Medal, Combat Infantryman Badge, Senior Parachutist Badge, Ranger Tab and the Special Forces Tab. Woods is survived by his wife, Elizabeth, and daughters, Lilian and Ella, of Chesapeake, Va.; mother Pamela, and father William, of Pacific, Mo.